The above listed item is from the New Kingdom Period,18th Dynasty(1353-1336 B.C.E.). This extremely rare offertory relief is carved from limestone. We acquired this incredible item from a select private collection and its provenance is from Luxor, Egypt. This early Amarna Period scene depicts the Pharaoh Akhenaten accompanied by Nefertiti and two of his daughters, possibly Merytaten and Mekytaten. 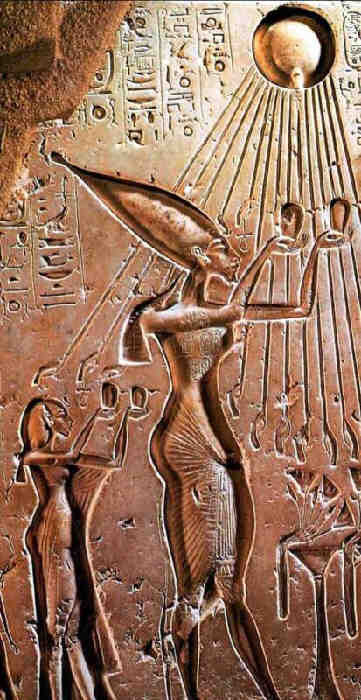 Above them there are the blessing hand rays of the Aten sun god. 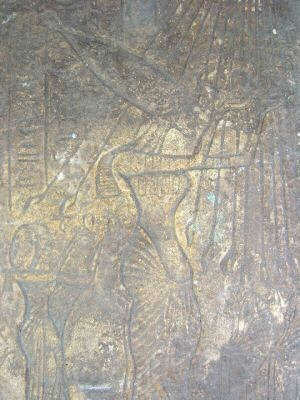 At the left of the relief there is a row of faintly visible hieroglyphics. 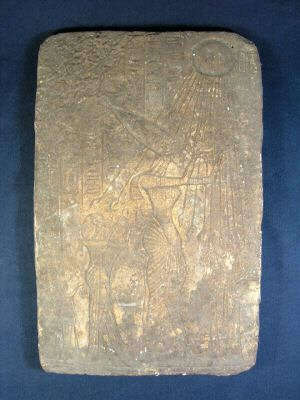 This partial panel was once in a temple or tomb and the Amarna art form is true to style for this period. This is a very rare acquisition and usually seen in museums and select art galleries! This partial relief is intact with age wear. The reason for the item being available is due to the vast extent of archeological findings, thousands of years in Egyptian burials and also the proliferation of these said items in older private collections worldwide.